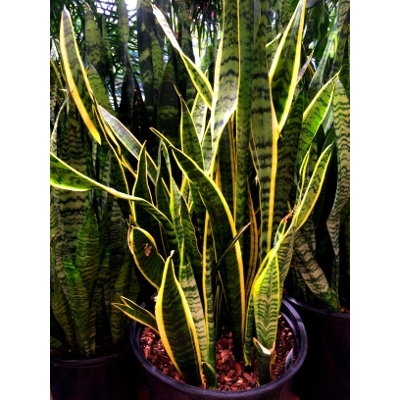 Also commonly known as mother-in-laws tongue due to their sharp, pointed tips, snake plants are very straightforward. If a prize were available for the most tolerant plant, snake plants would certainly be among the winners. They can be neglected for weeks at a time yet with their strappy leaves and architectural shape, they still look fresh. Additionally, they can survive low light levels, drought and have few insect problems. It has also been shown that snake plants are able to help keep the air inside your home clean, removing toxins such as formaldehyde and benzene. In short, they are the perfect houseplants.